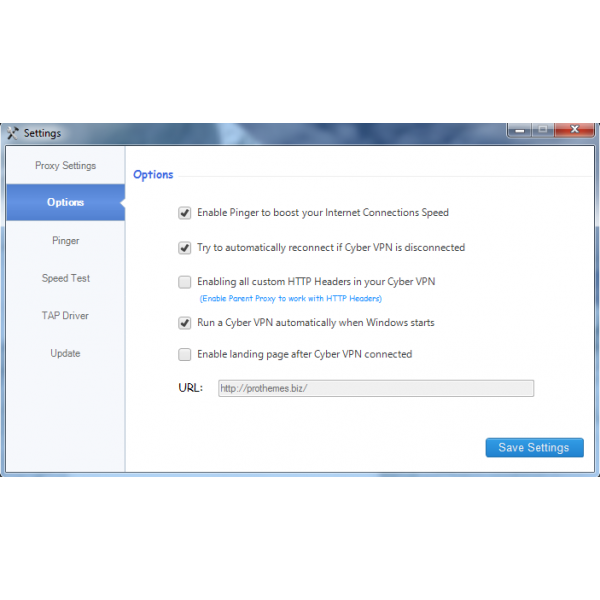 Custom OpenVPN GUI is a VPN Client application for windows users. 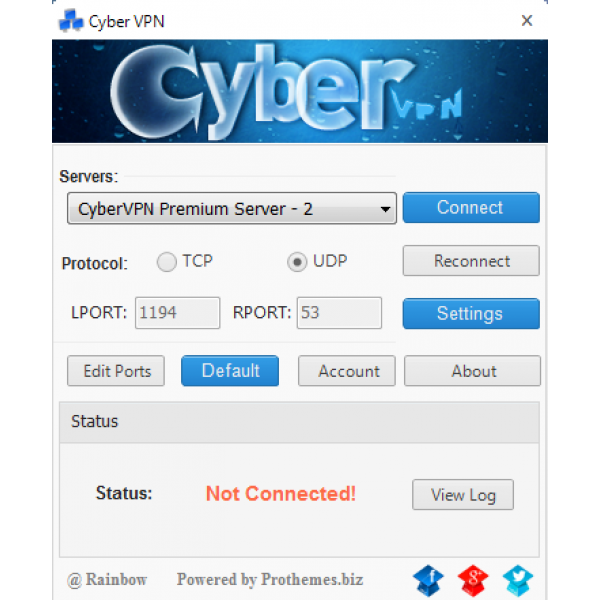 Also it is a replacement for your old openvpn GUI looks. 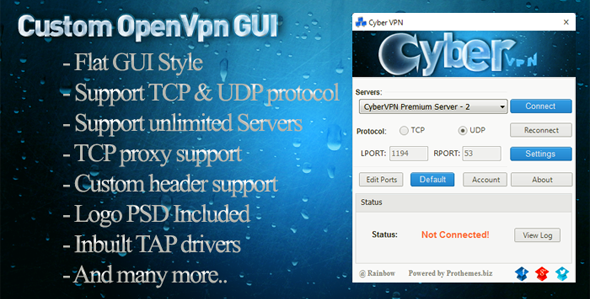 It helps to built your own openvpn GUI with your own company name. It support almost unlimited Servers to list and connect! It is coded under VB.NET (.net framework 4). Yes, you get full source code & include logo PSD files. you are most welocme to share your idea. - Added: Quick disconnect function on system tray. - Added: Rounded minimize button on GDI. - Added: System tray functions now support icons. - Fixed: Config file not loading at windows startup. - Fixed: Log file not found error while connecting.